Off-White™ and Timberland join for a very exclusive collaberation. 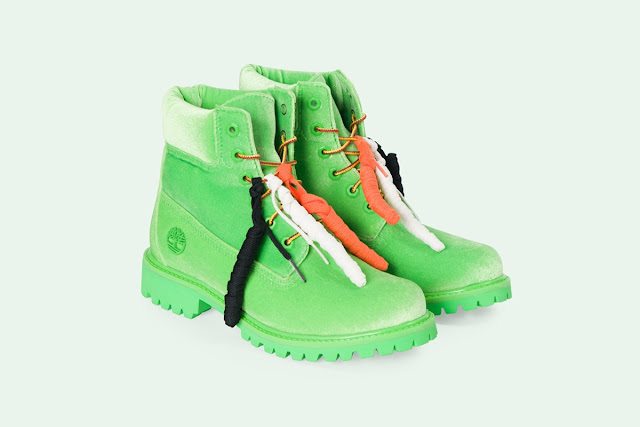 Timberland collaborative boots feature a completely green leather upper with classic Timberland laces and touch of three sneaker laces offered in black, white and orange. You can can pre-order them now ---> official Off-White™ web store for $933 w/ March 8, 2018 delivery date.